Would You Like to Upgrade Your Security? Have You Misplaced Your Car Key? Your Best Local Locksmith, Bethlehem PA.
We're only one phone call away..
We are a leading Emergency Bethlehem Locksmith company. Our locksmiths provides 24/7 emergency locksmith services, such as lockout services, broken key extraction, as well as automotive keys replacement. We also repairing locks, re-keying locks, and replacing locks. To point out, we are proud to offer you the best locksmith services in Bethlehem, PA. Only LockTech24/7 Locksmiths provides the widest range of locksmith services. That includes full emergency, automotive, residential, and commercial locksmith services. We give emergency services first priority, for those who need the quickest response! Our locksmiths are local to Bethlehem PA, and our emergency locksmith rates are affordable to everyone. Among with our professional locksmith services, we also install and replace door knobs and deadbolts. As well as lever locks, commercial locks, panic bars, car key, key fobs, high security keys, and more. When you call for emergency service, you may expect to response, period. We will have you back on the move in no time. All our locksmith technicians are highly trained to provide top quality services. Leading the locksmith industry of Bethlehem, there is no such service we can’t do. We’re open 24 hours a day, 7 days a week, including nights, weekends, and holidays. With an average 20 minute response time for your call, LockTech24/7 is probably the ideal lock and security solution providers. If you’re located anywhere in the Lehigh Valley, between Allentown and Easton, please call us. It is important our neighbors and friends feel safe when they are in the house or at work. Here at LockTech24/7, we are offering the community of Bethlehem, quick and safe lockout services. As well as layer defense against crime, and peace of mind, at a price that everyone can afford. We become the local leader of security experts in Bethlehem. That because only at Locktech24/7, you can find the lowest prices with the highest quality. LockTech24/7 is the only locksmith you’ll ever need in Bethlehem and the Lehigh Valley. Our highly skilled locksmiths are becoming famous for attention to details. We won’t leave you until the job done right. The best thing about our locksmith services is that we come to you. Our locksmiths arrive with fully equipped mobile workshop, so all work can efficiently be done right on your property. There is no need for you to drive all the way to any locksmith shop. 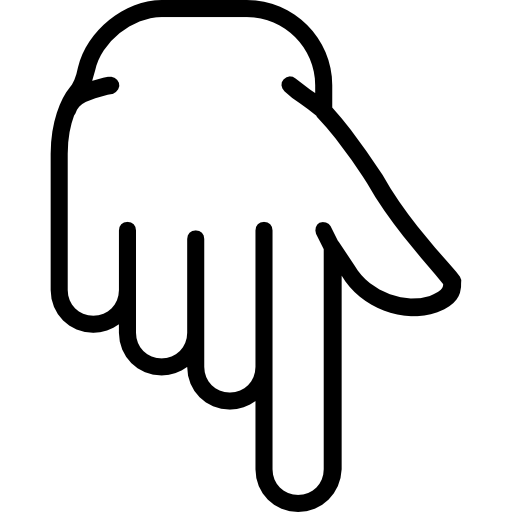 And if you need auto keys replacement, you don’t need to tow your vehicle to a car dealer. We send our locksmith to your place, as a part of our legendary customer satisfaction program. Call now and a local locksmith can be at your home, business, or car in a short time! LockTech24/7 offers 24/7 emergency locksmith services in Bethlehem, Allentown, and Easton, Pennsylvania. Our locksmiths are trained to solve all type of emergency locksmith issues. Whether you need emergency locksmith service for your car, office, or home. we’re here ready for you. Perhaps, you’re already know the bad feeling when you gets locked out of your vehicle, losing your automotive keys, or the ignition lock won’t turn when you’re on the way to work early morning. 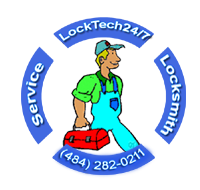 We’re here 24/7, so if you think on automotive locksmith, LockTech24/7 can bring the relief and peace in your mind. Residential locksmith services can vary from a simple lock and key problems to very complex problems. To make sure that all your residential locksmith needs are solved in a short time, please call (484) 282-0211 or contact us for estimate. Protect your family – secure your home! LockTech24/7 is a full-service commercial locksmith, operating in Bethlehem, Pennsylvania. Whether you need a lock out assistance or repairing push-bar in your back door, we are here to help, 24/7. If you’re looking for commercial locksmith services, look no more, simply call us as soon as possible. When you need a fast locksmith service, you need to deal with a local locksmith. Our locksmiths knows the Lehigh Valley very well, to arrive in a fairly time manner. We cover Bethlehem, Allentown, Easton, and surrounding area. When most businesses talks about customer service, LockTech24/7 knows what customer services is. With that said, our technicians will treat you with utmost courtesy and a smile. Our reputation is base on that, and your satisfaction is 100% guaranteed. 24/7 Emergency locksmith services are our daily basis routine day and night. We are here ready for your phone call whether you’re in Bethlehem, Allentown, or Easton PA. Whether you need emergency locksmith service for your car, home, or your business. Our prompt response that we are a well-known locksmiths in Bethlehem, PA. Our locksmiths arrives within 20 minutes, usually to see a smiling customer. We’re arriving quickly after your first call and working fast on site because customers want their locksmith issue resolved in a timely manner. Our wide range of locksmith services goes beyond lockout, or broken key removal. From simple lockout assistance to key-less entry system, and security hardware repair / replace. Our clients receive quality and personalized service that is beyond comparison. The quality of our locksmith services involve an excellent workmanship, and attention to details. One of the skills of a locksmiths is high standards of workmanship. We are professional! We finish when we say we would, we leave you with a smile, and your property secured!